07.04.2015. 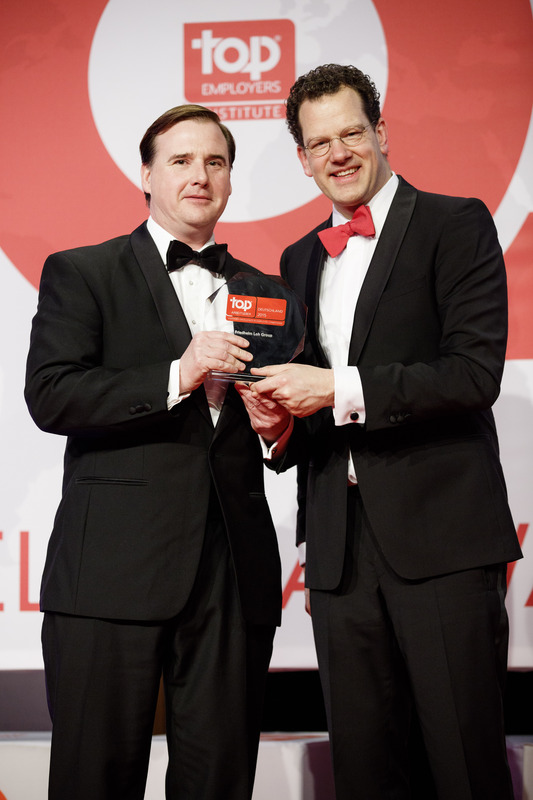 The Friedhelm Loh Group continues to be one of Germany’s top employers. This year, the "Top Employers Institute", has honoured the Group for the seventh year in a row for its forwardlooking personnel concepts, and praised its enthusiastic management, social commitment and innovative ideas. Passion, innovation and responsibility: these are the decisive reasons why the Top Employers Institute again recognised the Friedhelm Loh Group as a top employer in Germany this year. For the seventh consecutive year, the Institute noted, the group not only provided excellent working conditions for its employees, but also promoted talent at an early stage, invested in the continued development of employees and managers, was committed to equal opportunity and showed extraordinary social commitment: "The Friedhelm Loh Group is a role model in terms of employee orientation," said Marcus von Pock, the Group’s Director of Human Resources: "We are very proud of this and will continue to work to optimise working conditions," he added. The annual survey by the Top Employers Institute honours worldwide leading employers with outstanding leadership and strategy. Only companies that successfully pass a rigorous examination procedure can be certified. Companies must meet high standards in a number of categories. The Friedhelm Loh Group scored above average in the auditing process – and was given top marks as a leading employer in the categories of personnel planning, training and development, leadership development and corporate culture. In a separate auditing process, the Eplan subsidiary also achieved top marks. The independent chartered accountant Grant Thornton conclusively verified all the evidence and added some further weight to it. The Top Employers Institute especially commended the "Leading with passion" leadership development programme. Innovations such as the "Chance Centre", which encourages employees to discover their own strengths and talents, as well as "Big Little Rittal", the ‘company within the company’ run exclusively by trainees, were well received by the jury. The Institute also praised the Group’s remarkable social commitment in the region and beyond. Employees make annual joint donations for local charities and international aid agencies, while the Rittal Foundation is also committed to local projects at the Group’s locations. "Our detailed investigation has shown that the Friedhelm Loh Group created an outstanding employee environment and offers a wide range of creative initiatives," said Dennis Utter, Regional Director Germany, Austria, Switzerland (DACH) and Poland, explaining the Top Employers Institute's decision: "These measures range from the continuous optimisation of working conditions to a performance management that is fully in tune with the corporate culture." That should also be the goal for the years to come, said Mr. von Pock, and looking to the future, he added: "We are continuing to strive for further improvements, particularly in the area of staff development, and we want to obtain more very good results in the coming years." After all, certification as a Top Employer in Germany not only proves that the Group thinks about innovations for industry, but also for the staff. The positive effect of these measures was clear to see, Dennis Utter said, "Ideal employee conditions mean that people continue to evolve in the workplace as well as in private life – and so experience satisfaction." Image 1: Daniel Popov works at Rittal, the largest subsidiary of Top Employer the Friedhelm Loh Group, in Rittershausen, Germany. 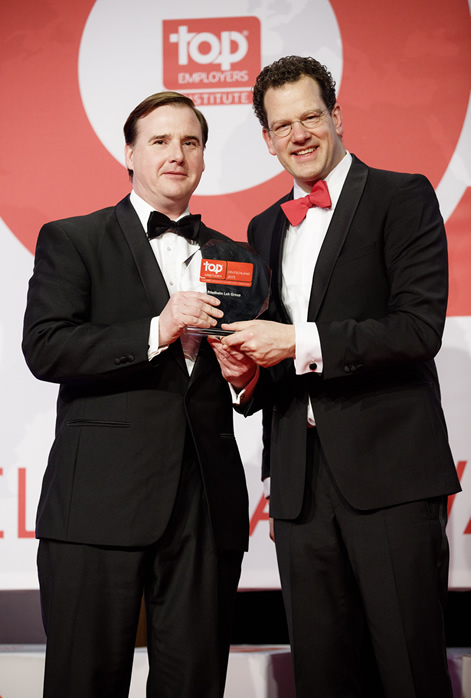 Image 2: David Plink, CEO of the Top Employers Institute, presented Marcus von Pock (r.), Senior Vice President, Human Resources of the Friedhelm Loh Group, with the "Top Employer 2015" award.